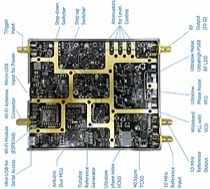 High bandwidth (f > 6 GHz) RF signal generators are expensive pieces of test equipment usually affordable only to large corporations and research labs. 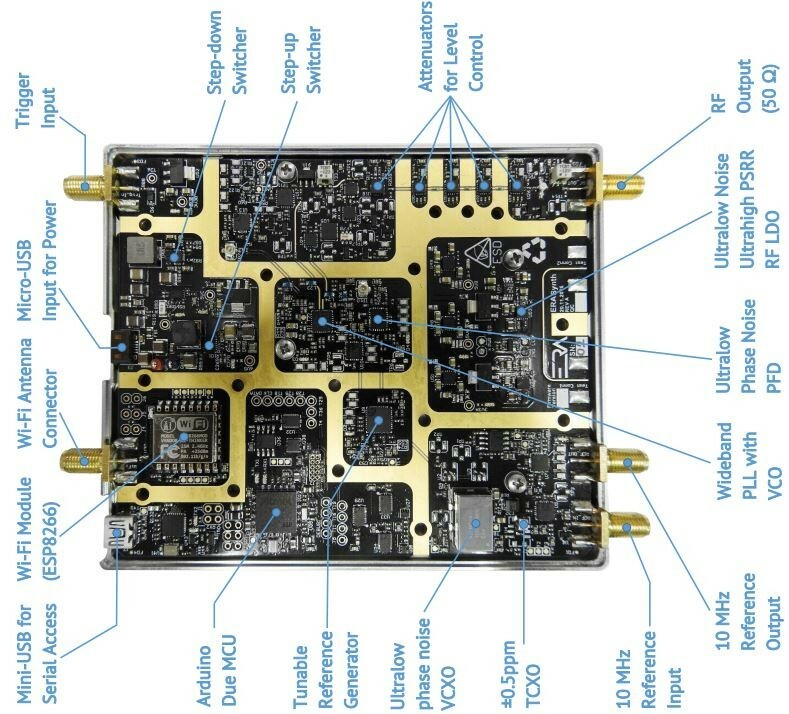 An open source, crowd-funded project now available on Crowd Supply aims to shatter the cost barriers and make multi-GHz RF signal synthesis accessible to everyone. 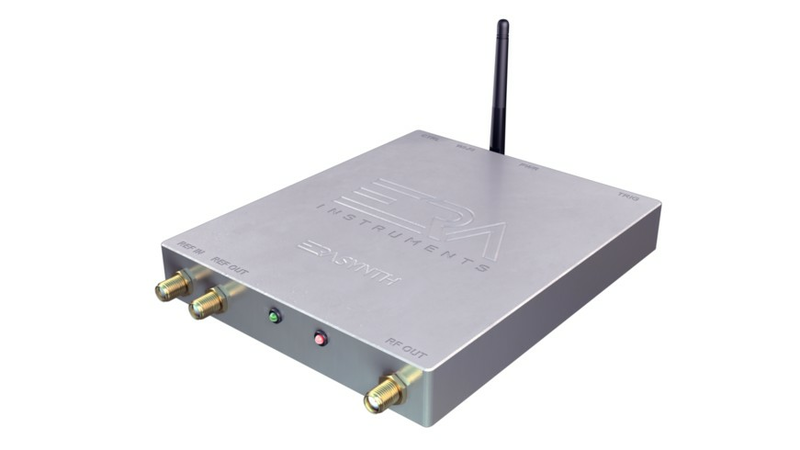 Istanbul-based startup ERA Instruments is utilizing state-of-the-art RFIC technology to create ERASynth, an RF Signal generator with remarkably low phase noise and impressive output frequency range. ERASynth -unlike many competitors- does not rely on a single fractional PLL, instead it uses a multi-loop PLL architecture to provide continuous frequency coverage from 250 kHz to 15 GHz in 1 Hz steps. Single loop fractional PLLs with integrated VCOs are great for generating RF signals with fine frequency resolution, but they are plagued by elevated phase noise floors and excessive spurious artifacts. ERASynth improves upon single loop fractional synthesizers by making the reference tunable and keeping the main PLL in integer mode at all times. The end result is a low-cost, low-SWaP and high-performance RF synthesizer with impressive specs. ERASynth’s phase noise, for example, -125 dBc/Hz at 1 GHz, 10 kHz offset exceeds even some of the premium bench-top signal generators. Measuring just 10 x 14.5 x 2 cm, ERASynth is equipped with a low-power ±25 ppb OCXO for ultra-stable operation. For more information and comparison charts, you may visit ERASynth's campaign page at https://www.crowdsupply.com/era-instruments/era[...].